In 2018, a sunset celebrates its 120th birthday. No, it’s not the anniversary of the blushing pastel sky that shadows overhead just before night (that’s as old as time). And it is not the commemoration of Billy Wilder’s movie Sunset Blvd (that was 1950) nor the anniversary of the actual naming of the boulevard known as Sunset (that was the early 1900’s). Instead, we are talking about the kind of sunset that stacks up on your coffee table – Sunset Magazine – one of the oldest, longest running magazines in American publishing history. 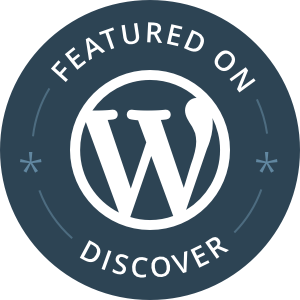 For over a century, this West Coast-centric lifestyle publication has been entertaining readers with outdoor recreation, travel, home design, gardening and food-focused articles steeped in the natural beauty of the United States’ Pacific side. Originally produced in 1898 to dispel myths about wild, wooly California, Sunset magazine was created as a marketing and promotional piece for Southern Pacific Railways. Its goal was to encourage tourists to buy land in California so the railway could profit in transportation, tourism, and land ownership sales. By highlighting the natural beauty of the scenic coastline, the agreeable climate and the sophisticated resort towns of Southern California, in particular, early readers were introduced to the artistic side of the state through nature photography, regional literature, and poetic musings. 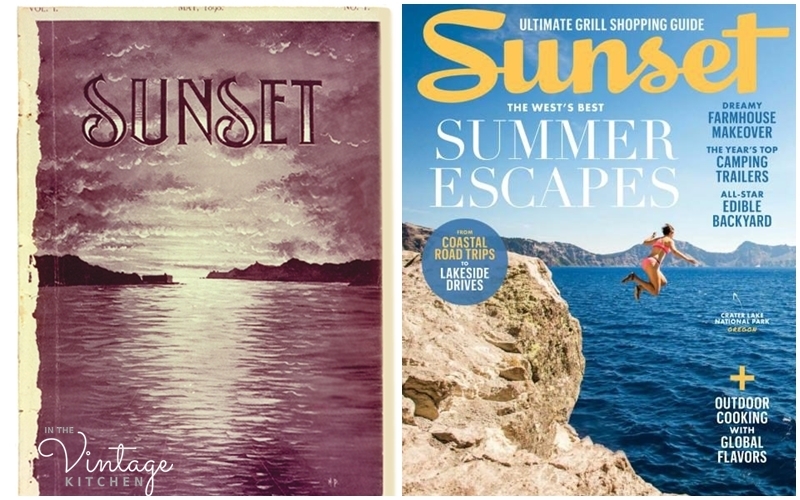 The up and down decades of the 20th century brought many changes to the magazine’s content, format, and layout but throughout its long life, Sunset has always inspired readers to get outside and enjoy the natural landscape. The recipe we are featuring today involves just that – a nod towards a relaxed dinner geared for outdoor ease and feast enough for a dozen family members and friends. It is a perfect packer for the picnic basket or a set-it-and-leave-it sort of arrangement that yields plenty of time for firefly watching or sprinkler swimming or whatever your favorite summer pastimes include. It is a cold roast beef, cooked early in the amiable hours of the day, and then put away to chill in the fridge until hungry appetites demand to be fed. The recipe comes from the 1962 Dinner Party Cook Book compiled by the editorial staff of Sunset Magazine. This very cool collection features a wide assortment of party menu recipes that coincide with big and small occasions throughout the year. Birthday parties, graduations, theme night dinners, and holidays are all tackled with a wealth of ingenuity and imagination in the menu planning department. Our cold roast beef fell under the theme of an Easy Summer Dinner, combining a selection of dishes that were cool to the palate and required little heating (other than baking the roast). Temperatures have been heat-wavish here in the South reaching 100 degrees for the past week with even higher heat index numbers. This Easy Summer Dinner was just what we needed. 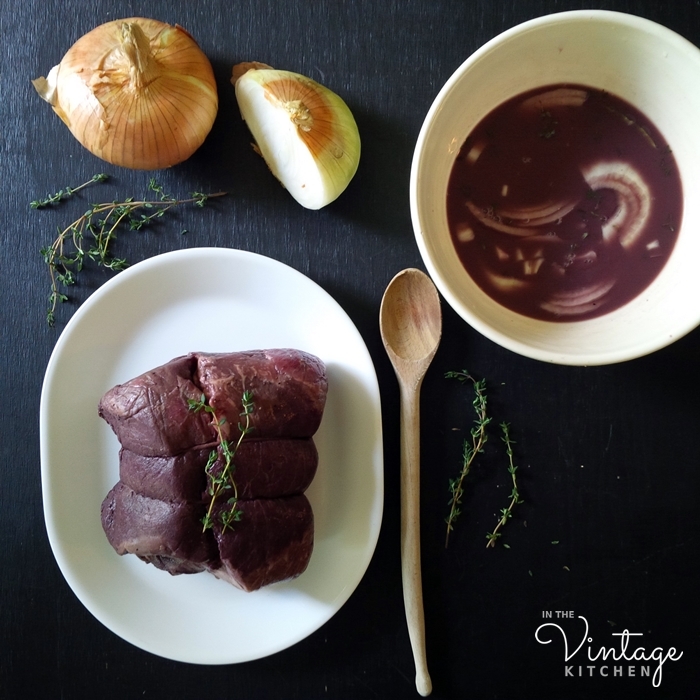 The ease comes in a 24-hour red wine, onion and herb marinade and then a quick pop into the oven for 2-3 hours of cooking. Once it comes out of the oven it cools on the counter before heading to the fridge where it chills until dinner time. The benefits of this dish are many because the roast is large – big enough to feed up to 18 people – which means you could have a lot of leftovers depending on your party size. 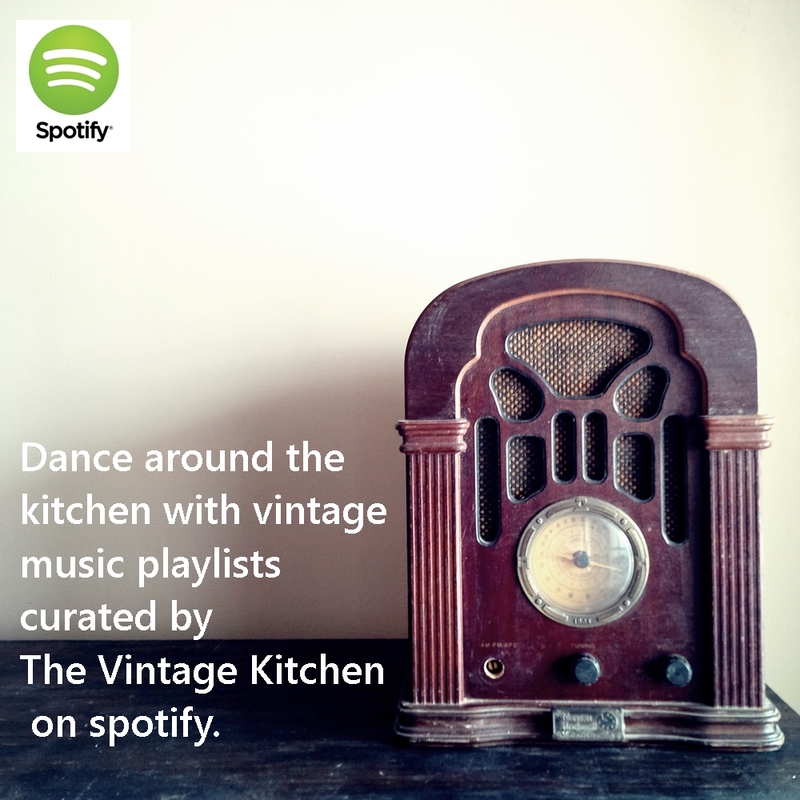 Here in the Vintage Kitchen, that meant practically a week of additional dinners plus extra for the freezer. From just one roast we made fajitas, beef pot pie, steak salad, stuffed peppers plus two extra nights of the actual recipe. Easy summer dinner indeed! The recipe calls for a 5-6 lb rump roast which we substituted for a 4 lb. 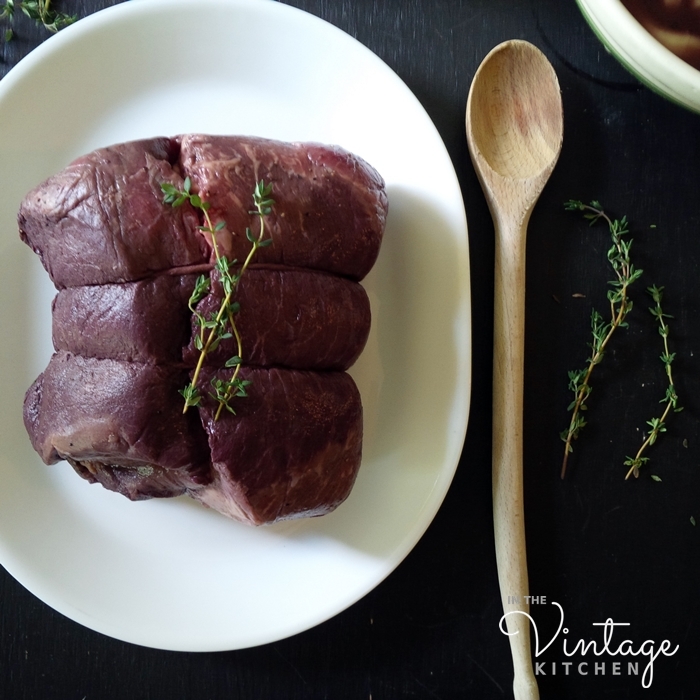 grass-fed beef rump roast. We like grass-fed beef the best because it’s healthier for humans and because it is a better lifestyle for the cows who forage on open pastures eating only natural grasses instead of being lumped together on feedlots eating only grain. If you try this recipe and incorporate grass-fed beef too, there are a couple of factors that need to be altered. Grass-fed beef cooks faster since it is much leaner than grain-fed beef so it’s important to pay attention to the roasting time. Instructions for both types of beef are included with the recipe here, depending on your own preferences. Other than that, this very easy dinner is as promised – very easy. And the whipped horseradish is the perfect accompaniment so definitely don’t forget it. 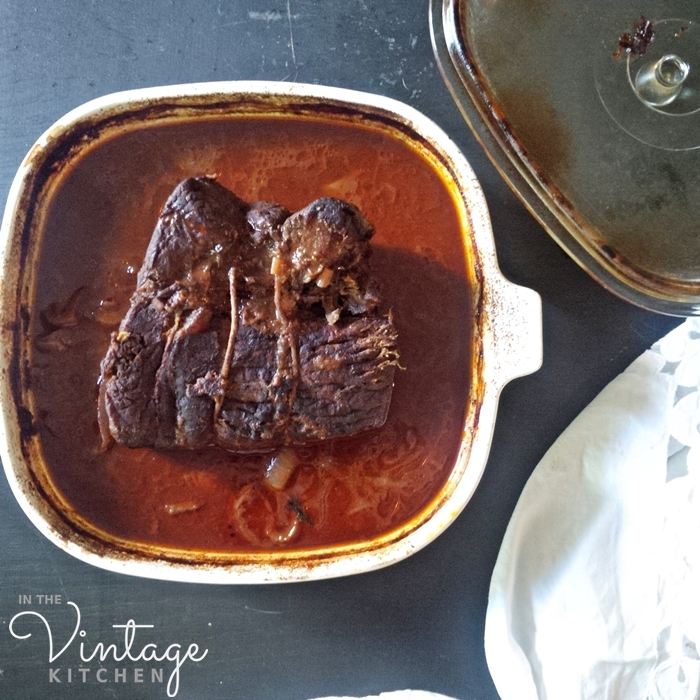 Place the roast in a large bowl and cover with the wine, onion, thyme, black pepper and bay leaf. Marinate for 24 hours in the fridge, turning a few times throughout the marinade process. After 24 hours, remove the meat from the marinade, setting the marinade aside for future use. Let the beef warm up to room temperature before patting it dry and dusting it all over with the flour/salt/pepper mixture. In a Dutch Oven brown meat on all sides in the beef fat, shortening or oil. If you are using grass-fed beef do this step in a hot skillet with 3 tablespoons of olive oil. Sear meat about a minute per side on all sides. Seared on all sides and ready for the oven. Pour the marinade and the tomato puree in the Dutch oven, cover and bake at 350 degrees for 3-4 hours or until fork-tender. 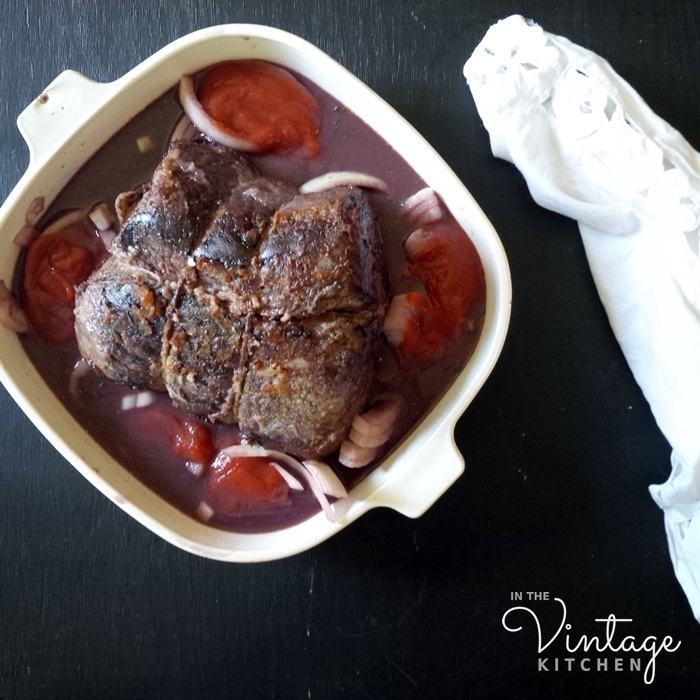 If you are using grass-fed beef, after searing, place in Dutch oven or a large casserole dish, add the marinade and tomato puree and top the roast with three pats of butter. Cover and bake at 425 for 20 minutes then turn the oven off and keep the roast in there for two hours, being careful to not open the oven door for the entire time. You want the internal temperature of your roast to be about 135 degrees when finished. Once your roast is done, remove it from the oven and let it rest at room temperature until it is cool. Refrigerate until ready to serve. While your roast is cooling, in a small bowl, whip together the sour cream, mayonnaise, and horseradish in a bowl. Refrigerate until ready to serve. 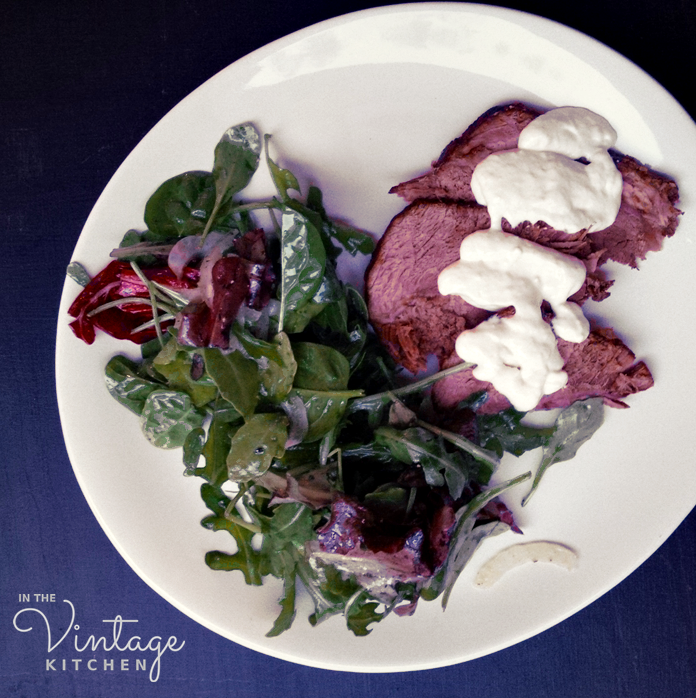 Once dinner time arrives, thinly slice the roast beef, arrange on plates and drizzle with the horseradish mixture. The original 1962 recipe included side dishes of hominy, watercress salad and sesame seed crusted toast points. While those sound lovely we skipped those dishes and served our grass fed roast beef with a simple side salad of mixed greens tossed in a homemade lime vinaigrette. It was simple and complimentary and easy. The words of the day! If you time your dinner and your day right, you’ll be able to experience two sunsets at once. One a feast for your eyes, the other a feast for your belly. Hope you find this vintage recipe as effortless as we did. 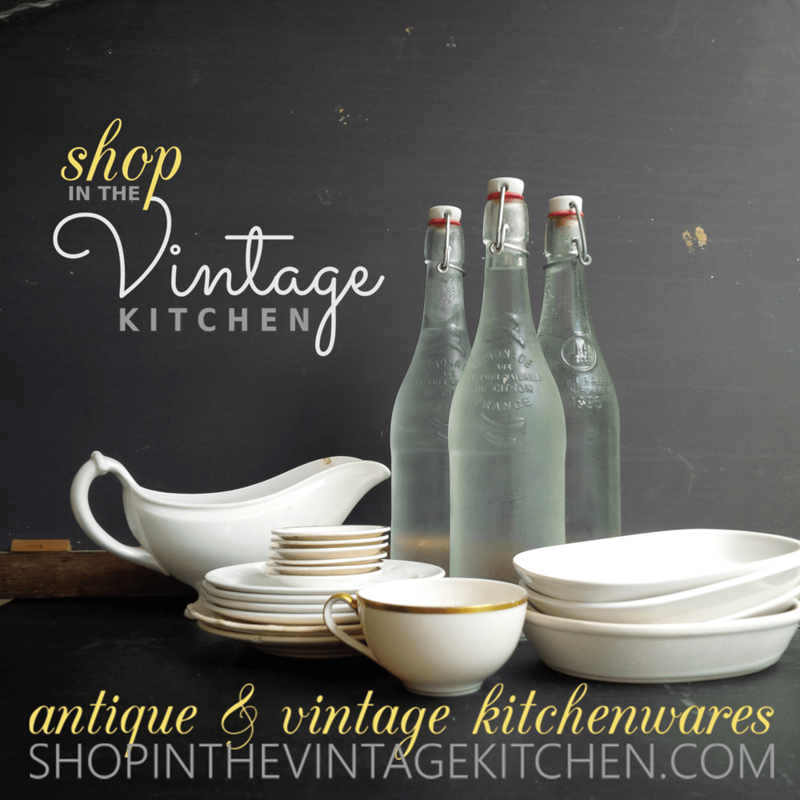 Explore 61 other 1960’s themed menus in The Dinner Party Cook Book available in the Vintage Kitchen Shop here. New to grass-fed beef cooking? Visit the website of our favorite grass-fed beef vendor at the Nashville Farmers Market and learn more. Cheers to easy summer nights and to the good friends that fill them.